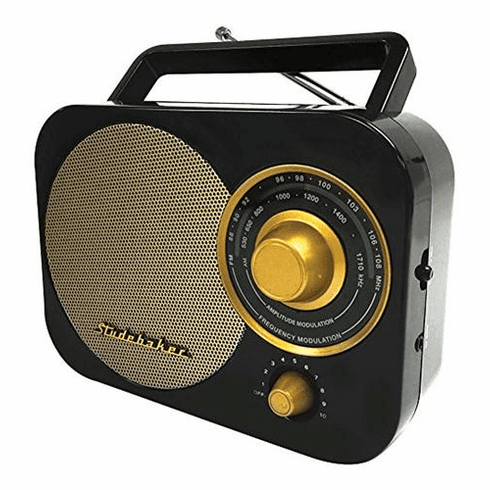 -Retro Portable AM/FM Radio in Black -AM/FM receiver -Auxiliary input jack for connecting your iPod, MP3, or other digital audio players. -1 x 2.25 amp mono speaker with output power of 350 mW (10% THD). -Foldable carrying handle - Rotary telescopic antenna - Power: AC 120V/60Hz or 4 x &#39;C&#39; (UM-2) batteries (not included). **Comes in black, red, and teal.